Ursula Johnson was awarded the 2017 Sobey Art Award. 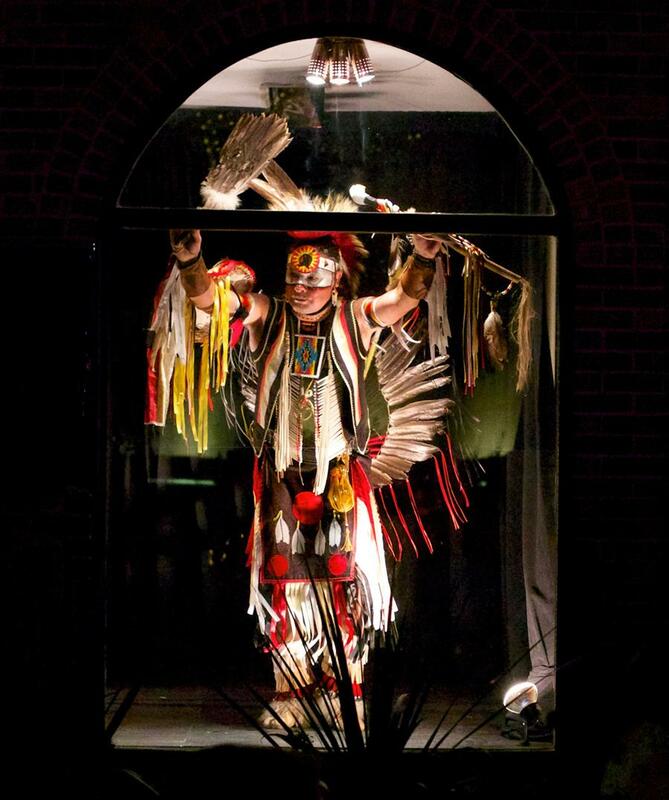 Ursula Johnson is a performance and installation artist of Mi’kmaw First Nation ancestry. Since graduating from NSCAD in 2006, she has participated in over 30 group shows and 5 solo exhibitions. Johnson has been exploring various mediums including performance art, sculpture, music and printmaking, while utilizing delegated performers as well as collaborative processes in the making of new works. Her performances are often place-based and employ cooperative didactic intervention. In Land Sings, Johnson used topographical terrain mapping to delineate a journey that she translates into a drawn line, and her collaborators use this line to score songs that are performed durationally.